Wow! The children really excelled at the Nativity this year. 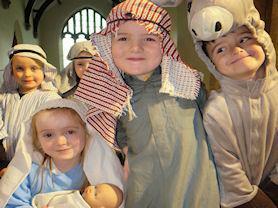 Performed at St Egelwin's Church, the Christmas Story was depicted the ‘Scalford School’ way! The children's costumes looked amazing!